Judged on the quality and consistency of its songs alone, Alicia Keys’s Songs in A Minor was a good but not great debut, with plenty of duds and no track to match the revelatory grandeur of her breakthrough single, “Fallin’.” And yet something about the album made it more exciting than any number of more accomplished debuts. Here we had an exceptionally skilled performer attempting an unusually sophisticated take on urban pop. Less a masterpiece than a promissory note, Songs signaled, whatever its flaws, the emergence of a genuine talent. It’s now been eight years since that album was released (and over a decade since it was first recorded), and in that time period Keys’s successive articulations of her Brooklyn-via-Julliard soul have only diminished in quality. The persistence of utterly stunning singles like “Karma,” “You Don’t Know My Name,” “No One,” and “Like You’ll Never See Me Again” guarantee that Keys will leave us with, if nothing else, a truly outstanding greatest hits comp by which to remember her. But she’s continually fallen short of the great album promised by her auspicious debut, and, sadly, The Element of Freedom brings her no closer. To give credit where it’s due, Freedom does strike an appealing, somewhat original aesthetic that succumbs to neither of the two clichés that dominate neo-soul releases: It’s not a stodgily reverential retro fest, nor is it a formulaic synthesis of smooth vocals and trendy hip-hop beats. Keys is one of the few R&B performers who realizes that a strong melody and a well-structured beat are both, fundamentally, exercises in composition, and she approaches both aspects of her songcraft with the attention to detail that her pop-classicist chops would suggest. There’s a holism to her tunes that, even when poorly executed, makes the beats-plus-hooks formulas of her contemporaries look amateurish. That said, having the right approach to songwriting is only a preliminary step on the way to a great song, and the offerings on Freedom make that clear, suggesting a surfeit of competence undone by a serious lack of inspiration. To begin with, the album’s ballads are near-uniformly awful, particularly the late-coming duo of “Distance and Time” and “How It Feels to Fly.” Each song pairs a simpering piano arrangement with a melisma-heavy vocal well beyond the capacities of Keys’s voice: It’s the type of bland balladeering you’d expect from a talent show or a class recital. 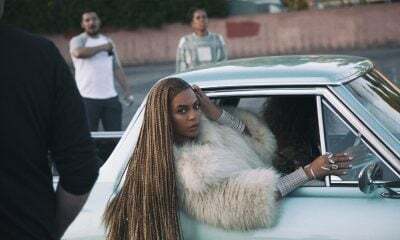 The upbeat numbers, which ought to stand out given their infrequency, incline toward the forgettable, though the cutesy club-ready duet with Beyoncé, “Put It in a Love Song,” is especially embarrassing—not only because the song is bad, but also because Beyoncé delivers what is, by a rather large margin, the best vocal performance of the album’s second half. The best moments on Freedom come early, with the clear standout being “Try Sleeping with a Broken Heart.” There, some retro synth work lends a funky backdrop for Keys’s breathy vamping, alternating disco-diva choruses with Prince-worthy verses. A similar aesthetic extends to follow-up track, “Wait Til You See My Smile,” where Keys jumps ably between a sultry lower register and an artfully strained high while synths and strings pile up to “Purple Rain” proportions. But from there on out, every flash of genius is dragged down by some accompanying misstep or platitude: “Unthinkable (I’m Ready)” starts out moody and evocative but ends up floundering in its own dreary atmosphere, and “This Bed” combines a refreshingly sunny guitar riff with a mostly uninteresting vocal performance. As smart and savvy a songwriter as Keys should be able to do better than this, particularly now that she has a decade of experience under her belt. Now that she’s entering the middle phase of her career, it’s high time that Keys bested her first album. But with so few highlights, an unwieldy 52-minute runtime, and a second half nearly devoid of strong material, Freedom doesn’t begin to contend with that release—or indeed, even many of those by Keys’s objectively less talented contemporaries.